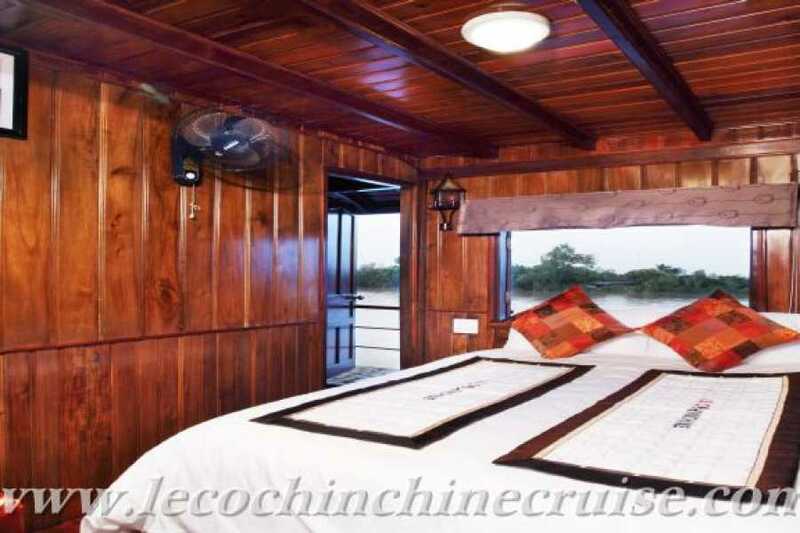 Le Cochinchine Cruise is a modern and tastefully designed river barge. 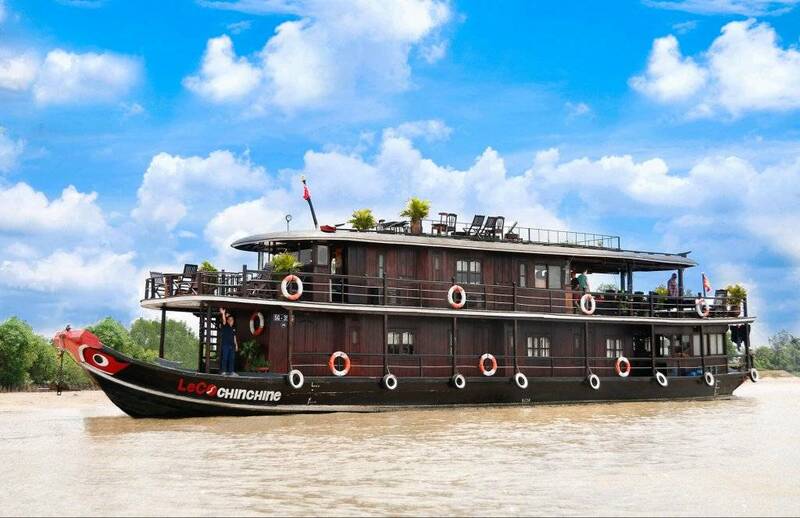 Built in traditional style Le Cochinchine Cruise measures around 30 meters long from bow to stern and has two 420 HP engines , one in back up, making Le Cochinchine Cruise a very powerful and safe river vessel. 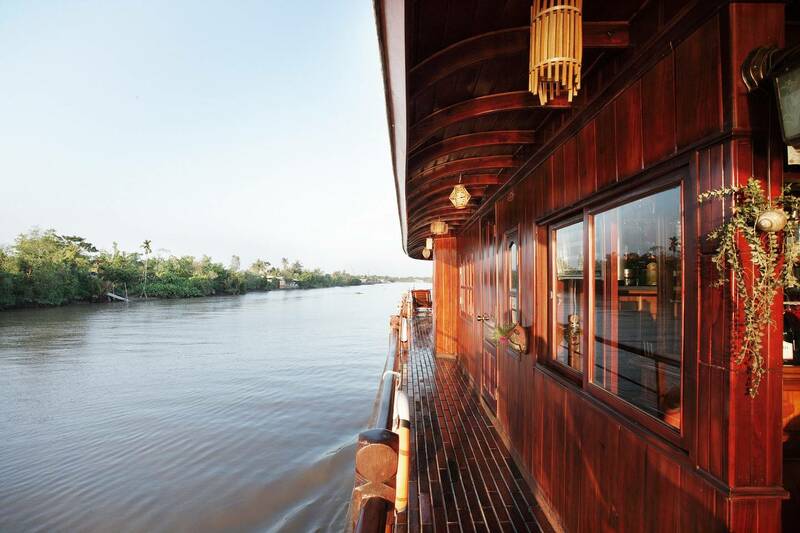 Le Cochinchine Cruise offers an elegant, relaxing and fulfilling ways to explore endless water way of Mekong River. 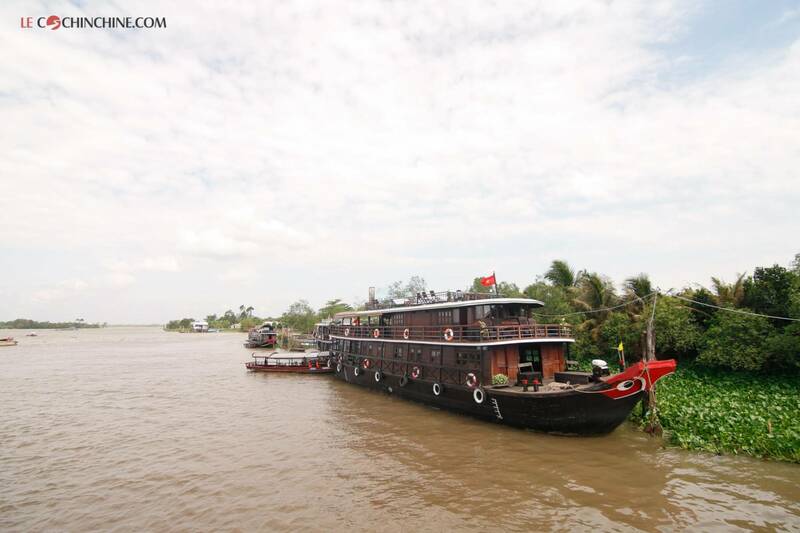 The cruise brings us into contact with people in different corner of the Delta . 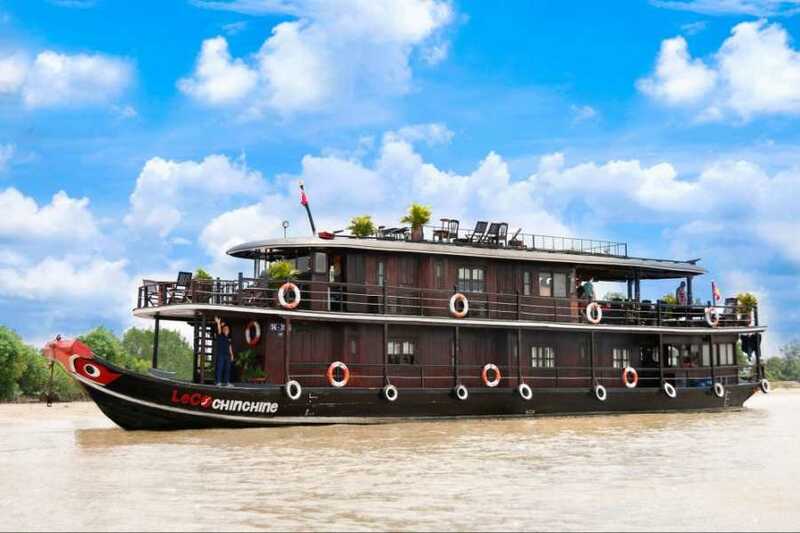 With Le Cochinchine Cruise, you will have ample opportunity to see Vietnam in its authenticity and sample local culture and food, in a one unpacking, unforgettable vacation where your "floating hotel" get you insight into Mekong Delta and quaint villages. 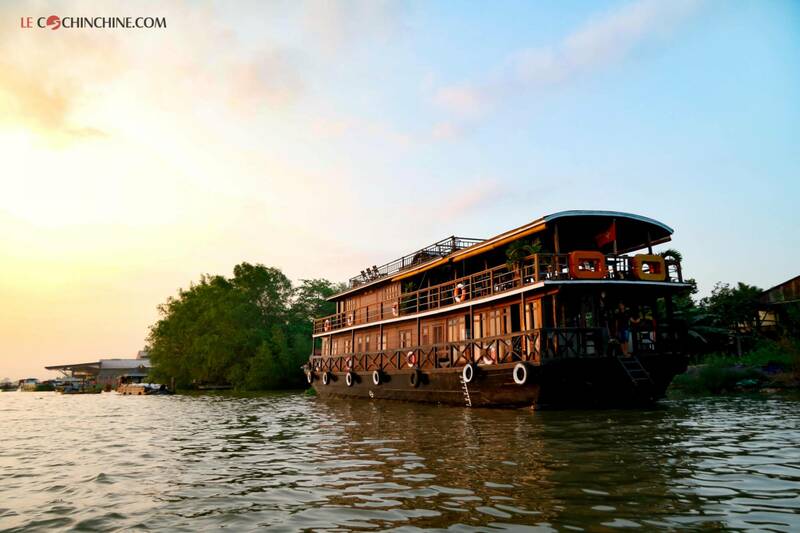 Aboard Le Cochinchine Cruise you will enjoy the continuous and ever-changing scenery as you encounter a lively world of legendary waterways and picturesque landscapes, floating markets, lush bonsais garden, rice fields, villages, pagodas and temples, fruit-filled orchards, boat laden bazaar and a host of smiling children. 10h30-11h00 AM: Welcome you at our Caibe pier. 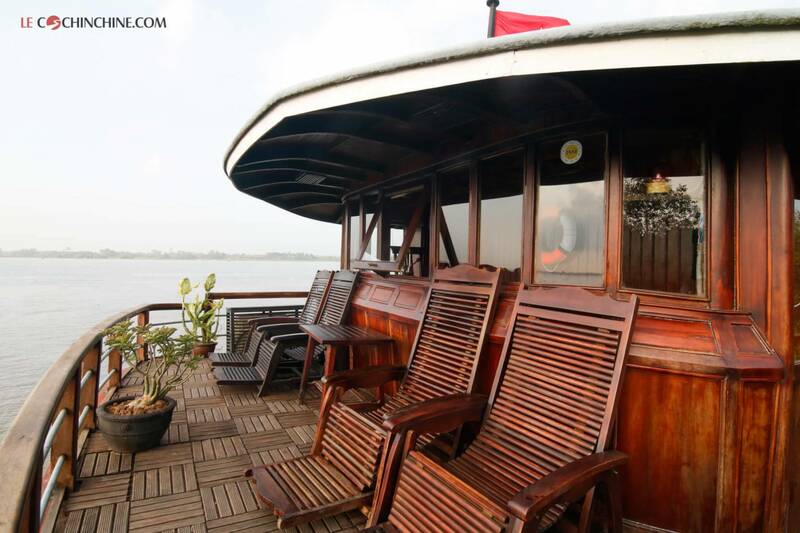 Join our Le Cochinchine boat for a welcome drink and check-in your room. Le Cochinchine continues to Caithia. 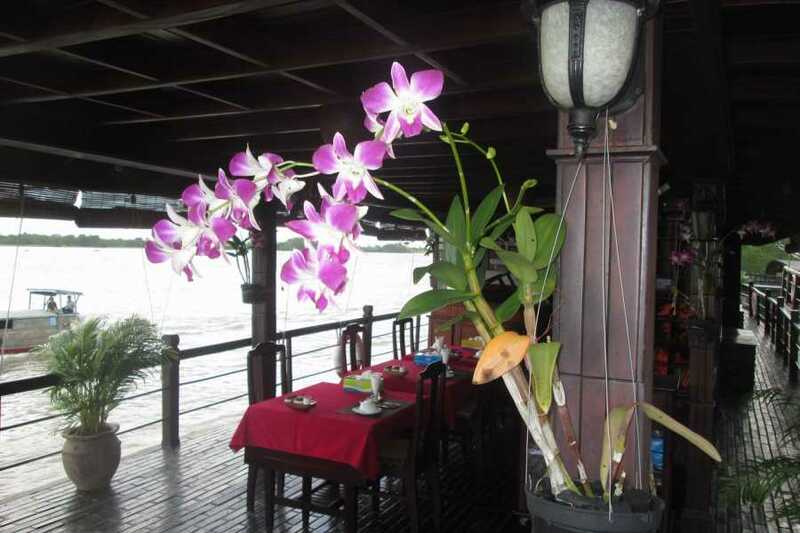 12h00 - 13h00: Come back to our boat for lunch while the boat cruises toward Sadec, a charming and quiet town located on the bank of the Tien River. A brickyard at the entrance of the village. Trungvuong primary school founded at the beginning of the 20th century by Marguerite Duras’s mother. The garden of bonsai and flowers. 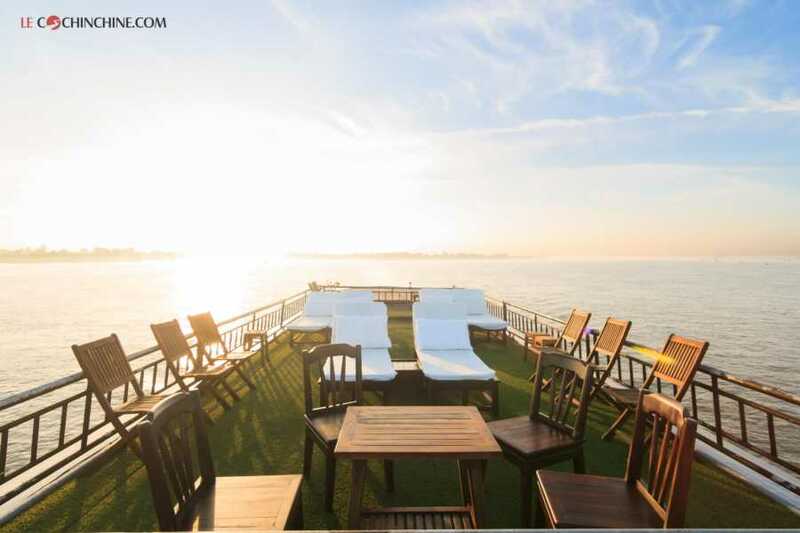 17h00: Return to our boat and enjoy the foot massage while watching the sunset over the Mekong River and sipping an aperitif. Local pop-rice, coconut candy and rice paper manufacturers. 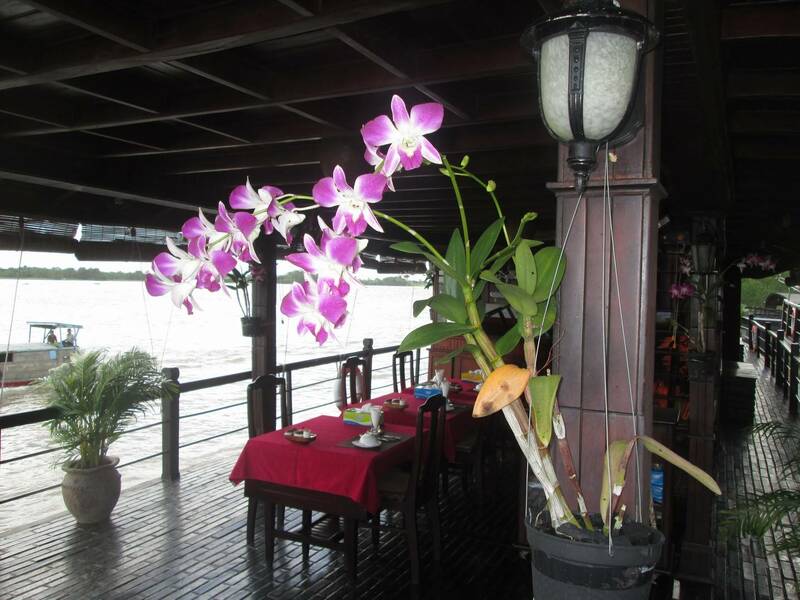 The old house of Mr. Ba Kiet where you may discover the garden and sample tea and seasonable fruits. 12:00-13:00: Embark on board Le Cochinchine and enjoy a welcome drink. 16:00: walk or cycle on the footpaths to see the countryside in Vinh Long to discover tropical fruit orchards and local people's daily activities. Taking part in a cooking class on board, you will have the chance to try to make Pumpkin flower stuffed with That Lat fish and learn how to cut vegetables for decorating dishes. 07:30 AM: Breakfast on board while the boat sails to Can Tho through tributaries, canals and arroyos. The Cai Rang floating market is known as a high-light cannot be missed when you explore the Western rivers of Vietnam. The local boat slides on tiny waterways between palm-shaded banks, you have the chance to see green orchards, local houses, ship building yards, and rural activities in full swing. Ba Cong’s ancient house: visit the orchard and enjoy tropical fruit. 11:00 AM: Return to the small boat and get off at our pier in Can Tho. 3days/ 2 nights joining cruise with accommodation on board. Meals as mentioned during the cruise (B = breakfast, L = lunch, D = dinner). Biking and sampan boat rides. Services of crews during the cruise on board.